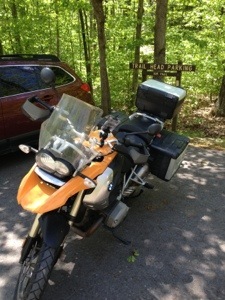 Have a BMW 1200gs for the weekend. Friday got soaked in rain. Saturday got buffeted by wind, but Sunday was just great. So much fun driving through open roads and lovely trees. Didn’t see another vehicle for almost an hour.